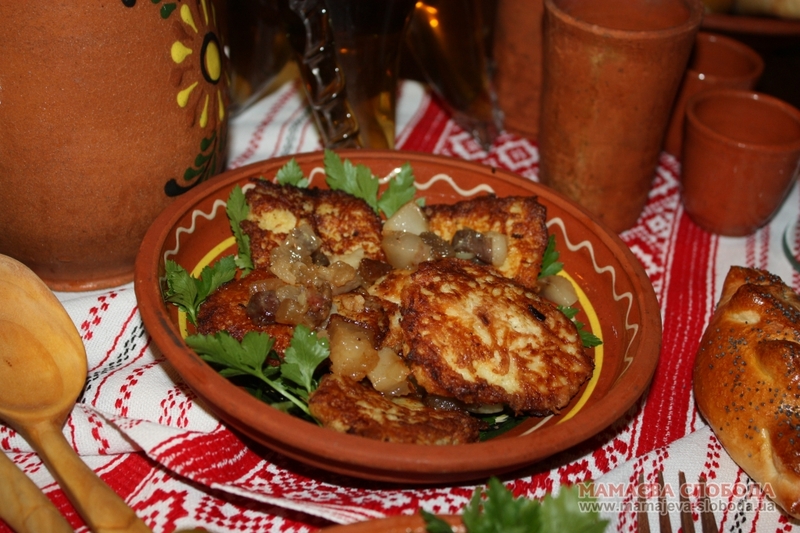 Deruny (potato pancakes) with cracklings | Шинок "Коса над Чаркою"
Traditional Ukrainian dish cooked since 18th century. Pilled potato was grated on a small grate, they added flour, grated onion, egg, salt and pepper. In order not to let potato get dark and hard, warm cow milk was added. 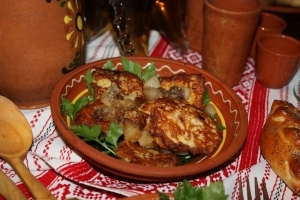 From well-mixed dough fritters were fried on the hot pan with oil, lard or butter with adding mushrooms to them. Deruny were served hot with cracklings.